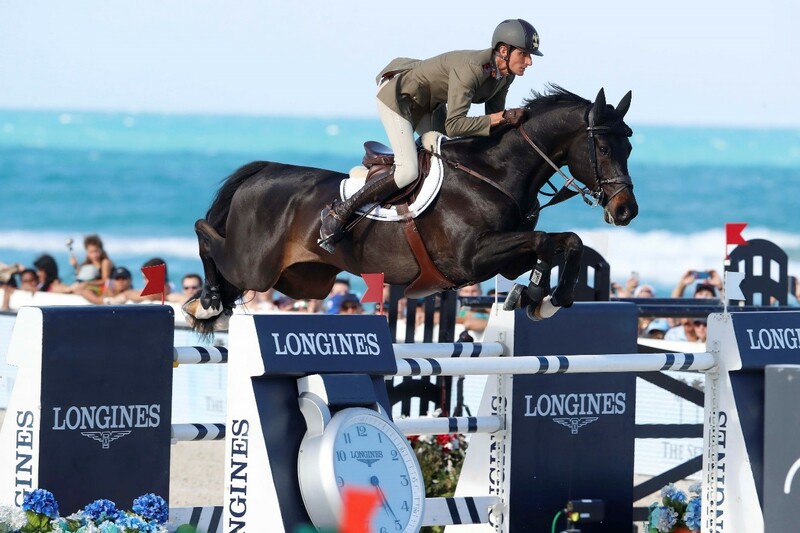 The Longines Global Champions Tour, the world’s premier show jumping competition, is galloping onto Miami Beach this week from Thursday, April 5 through Saturday, April 7. Starting daily at 8 a.m., spectators will enjoy an exciting lineup of premier show jumping stars competing for the LGCT Grand Prix along the shores of the Atlantic Ocean. The U.S. riders competing this year include Georgina Bloomberg, Jennifer Gates, Jessica Springsteen, Lauren Hough, Beezie Madden, Laura Kraut, and Margie Goldstein-Engles. With timing and accuracy at the core of show jumping, Longines is proud to be the Title Partner and Official Timekeeper of the LGCT. Event goers can visit the Longines boutique at Aventura Mall to view the sophisticated Conquest V.H.P, the official watch of the LGCT in Miami Beach, and discover why elegance and precision are at the heart of every timepiece made by this Swiss brand. The Longines Boutique, located on the upper level between Macy’s and Nordstrom, is open 10 a.m. to 9:30 p.m. Monday through Saturday and noon to 8 p.m. Sunday. For more information, call 305-935-4592. To view the detailed LGCT competition schedule, click HERE.